G et ready… get set… learn about Discovery Kids’ preschool destination READY SET LEARN!, arriving for the first time ever on two compilation DVDs February 19th from Genius Products and Discovery Kids. 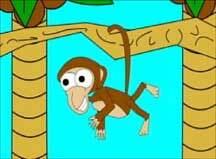 Discovery Kids has uniquely designed all aspects of READY SET LEARN! to promote emotional intelligence: the skills needed for effective learning and an optimistic and resilient approach to life. The stories and characters from the programs in READY SET LEARN! demonstrate important skills regarding practice, persistence and patience, as well as many other skills for managing the frustrations of early childhood. As Paz, our lovable penguin host demonstrates, “If at first you don’t succeed, try, try again!” In addition, the READY SET LEARN! programs promote specific learning content that is also invaluable to a child’s development. For example, a program can encourage school readiness skills and creative play. READY SET LEARN! is an outstanding teaching and learning tool for children and their parents or caregivers to enjoy at home, not only on television, but now, for the first time, also on DVD!The READY SET LEARN! DVDs will each feature multiple episodes of the fun, energetic series “PAZ,” “WILBUR” and “THE SAVE-UMS!,” as seen on Discovery Kids Channel and TLC.Each DVD will also feature bonus episodes from other popular READY SET LEARN! series, including “TODDWORLD,” “BIGFOOT PRESENTS METEOR AND THE MIGHTY MONSTER TRUCKS”, and “PEEP AND THE BIG WIDE WORLD,” plus “HIP HOP HARRY” and “HI-5” music videos. Packaged with finger-puppets and an activity booklet, each READY SET LEARN! DVD will be available for the suggested retail price of $14.95.SynopsesPAZ:Paz, an adorable five-year-old penguin, delights and engages young viewers as companion and host of READY SET LEARN!, Discovery Kid’s preschool programming destination. Every Paz episode is designed to promote Emotional Intelligence; skills needed for effective learning and an optimistic and resilient approach to life. The pint-sized penguin has a big imagination and looks at the world with the wide-eyed optimism, energy and curiosity that is inherent in preschoolers. Appearing in both animated and puppet form, Paz provides educational and story-based segments inspired by the interesting things that happen in a preschooler’s everyday world. 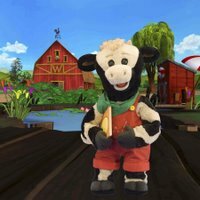 Paz is based on the popular book series by Irish writer Mary Murphy.WILBUR:Books are fun…books are empowering…and according to Wilbur, an enthusiastic young calf, “Books are Moovelous!” With a nostalgic red barn as a backdrop, a loveable crew of barnyard animals, and cutting-edge puppetry techniques, Discovery Kids gets a jump-start on teaching early literacy skills to preschoolers with this captivating series inspired by three moms and designed to inspire a love of books and reading.Read more about Wilbur on Ranny’s blog.THE SAVE-UMS:This new breed of 3-D animated super action heroes will help prepare preschoolers for their role in the 21st century. The colorful, pint-sized Save-Ums utilize whimsical helicopters, space ships and other cool machines to solve problems and nurture an interest in technology and critical thinking. Preschoolers will learn the principles of cause and effect and the impact of cooperative play. The Save-Ums are victorious because they work together. Small is Powerful! Believe it! The new Super Friends comic book series for DC Comics comes out March 19. The series, written by Dr. Sholly Fisch, is designed for young school-age-kids and is filled with new adventures featuring classic heroes like Superman, Wonder Woman, and Batman in age-appropriate adventures.It contains puzzles, cut-out activities and more — all designed to get kids reading, and inspire kids to be “super friends” to the people around them. More details on this title can be found here.”Super Friends” will be available in comic book stores across the country, or by subscription.The first issue is scheduled to appear on March 20. “Can we watch this some more? I bet I can make an instrument like that,” my ten-year old enthuses. Super young engineers have “Peep and the Big Wide World,” and now, older engineers have “Design Squad,” thanks to producer Marisa Wolsky and her team. Produced by WGBH , Design Squad is a PBS reality television show where teens between the ages 15 and 19 design whimsical machines in order to win a college scholarship.Although the show highlights teenage kids, it appeals to younger children, also, making the viewing an entertaining and educational family event. “Can I see just one more episode?” asked Hudson, an eight-year-old KIDS FIRST! juror. “I love this show!” He set up his laptop and watched one episode after another in the series online. This is not unusual according to Wolsky. Statistics show that ¼ of their audience watches online.How is this series different from a million other reality shows out there? Well, for one thing, there are no product placement. Parents don’t have to worry about subliminal commercial advertising when their child is watching this show. Also, the kids are competing for an opportunity to go on in life, using their natural smarts and the information they learned on this show.The students on the teams put in a lot of effort to yield great results. Once filming began in the first season, Wolsky found that it was inspiring to see the cast of eight evolve over the season with growth both socially and academically. The winner of Design Squad receives a $10,000 college scholarship provided by the Intel Foundation. One of the biggest hurdles Wolsky and her team had to overcome was creating two-day challenges that had a satisfactory result. Season one taught them about time constraints, which included shopping time and finding challenges that appropriately fit the time frame. They made some slight changes so the teens in season two can focus more on the engineering and creativity. Season two is off to a terrific start with episodes ranging from building furniture with cardboard to building a safe roller coaster in the backyard.Season Two premiers April 2008. Check Design Squad for more details. 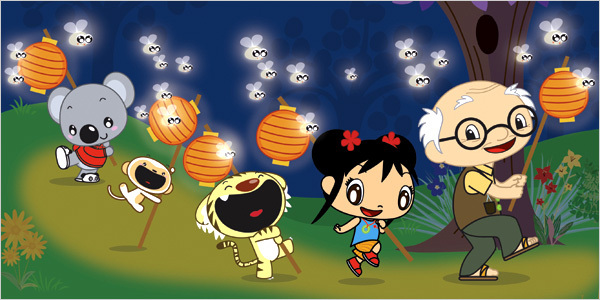 Nickelodeon launches its new Nick Jr. animated Mandarin-language preschool series Ni Hao, Kai-lan (20 episodes) today, the first day of the Chinese New Year. Nick Jr. will also roll out six new episodes weekdays from February 8-15, with the series airing regularly weekdays at 11a. Designed to introduce the Chinese (Mandarin) language and culture to preschoolers, Ni Hao, Kai-lan is told through Kai-lan, a 5-year-old Chinese-American girl. Created by Karen Chau and Executive Produced by Mary Harrington, animation production for Ni Hao, Kai-lan is being produced in conjunction with Wang Films and Wang Studio in Greater China. You are currently browsing the KIDS FIRST! News weblog archives for February, 2008.